Fat asses Champions! Yeah, that’s what I meant to say. Oh, and did I mention, I have a life insurance physical in two weeks? And when I actually applied, I put the weight that I WANT to be on the application? You know – it was like going to the DMV, when you put the weight that you were when you got married – but there, the guy taking your picture just snickers and snaps the photo of your triple chins, hoping the cops that pull you over don’t think you are driving with fake ID. With an insurance physical, the nurse is coming armed with a scale. And I don’t think I can get naked in front of her, claim it’s water weight, tell her I ate ball bearings for breakfast (maybe if it wasn’t a fasting physical? 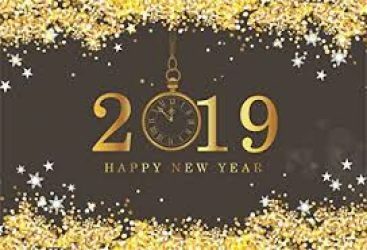 ), and wish for the best. So, I’m on a SERIOUS serious diet this time. Breakfast, Muscle Milk protein shake, and something protein-y for dinner. Yum. Protein shakes are not my friends. Post gastric bypass, I was supposed to be living on them, but they’re yucky. No one wants to live on yucky. I found one I could tolerate, but only if I doctored it up with instant flavored coffee and fruit and junk. 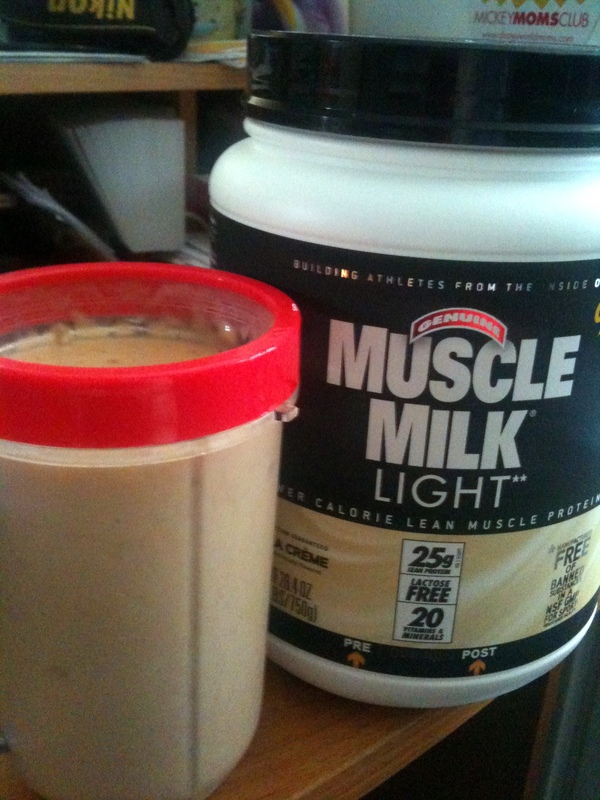 I bought Muscle Milk Light this afternoon, to use as my midday meal. I opted for the Vanilla Creme flavor, thinking that if I needed to add stuff to it to make it palatable, more stuff goes with vanilla. The first thing you notice when you open the container is that it is VERY vanilla. It’s sweet and pleasant smelling, as opposed to some, which are very chemically smelling. I mixed two scoops with a little less water than you’re supposed to, but I always do that, so I don’t have to drink as much 🙁 Without tasting it “plain”, I added a spoonful of peanut butter – old habits die hard 😉 Then I filled the cup with ice and made my shake. The drink, even with the peanut butter is REALLY sweet. It’s not necessarily a bad sweet, but it’s definitely sweet. The vanilla is stronger than the peanut butter, so I don’t really taste the one tablespoon full of peanut butter that I added – but adding two will add too many calories. The two scoops of Muscle Milk are 210 calories, with a generous 25 grams of protein. With only two grams of sugars, it’s a great option for the gastrically altered who dump on too many sugars – total carbs are only 13. I think the next time I make it, I might throw in a bit of orange juice instead of the peanut butter, making it more of a creamsicle type of drink. It will help cut the vanilla sweetness a little, and make it more of a summery drink than the disappearing peanut butter did. Just in case, I bought the smaller container, but I’d definitely buy this again. I think I could drink it straight if that was necessary, but I think it will adapt well to other added flavors.